In a time when budgets are tight and the bottom line often equates to bottom dollar, functional tests are often considered to be a luxury, not a necessity. Sometimes foregoing a functional test can end up being a far greater cost to the customer if a board ends up failing in the field. So when does it make sense to undergo a functional test? In my experience, you just need to break down functional testing like you would of buying a new car. If you’re going to a dealership to buy a new car, one of the first things you’re going to do when you show up is give the vehicle a good visual inspection. You’re looking for the obvious; bruises, bangs and scratches. If that car is missing a headlight or has a flat tire you’re going to notice it right away. This is comparable to the standard visual inspection performed on every board. If a board build is comprised of basic resistors and connectors, a visual inspection is likely adequate for your needs. But what if it’s a more complex board with active components? Or what if your fail rate is at high quantity or you’ve been experiencing issues with your existing operation? Moving forward with a functional test may be exactly what you need. If the car you were eyeing passed your visual inspection, would you ever purchase it without sitting inside of it and starting the engine? In the world of circuit boards, even if a board has passed a visual test, we still can’t be sure that the logic is functioning. Turning the key in the ignition to ensure the engine started would be comparable to turning on power supplies and initializing the self-tests. For example, if an active component were bad on a board, without a functional test, the problem wouldn’t present itself until that board was out in the field. In the case of a complex board build, even if the specs are followed with 100% accuracy, the board may not operate as intended. Think of it this way, if you turn the key into the ignition at the dealership and the car starts, do you move forward and purchase it or do you wait to buy it until you can take it for a test drive? Complex board builds need to be thought of in the same way. 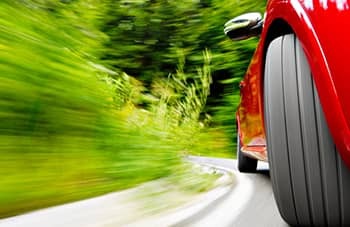 They may pass a visual inspection and even basic functional test, but until we get in there and test drive them at 65 mph we’re not going to know how they really drive on the road. This is why in-depth functional tests are such critical step in the build process. We work with our customers in the development process to determine if an in-depth functional test would be beneficial and we often include it as part of the original bid. We have the flexibility to work with tests that have been developed by our customers or can custom design a test along with a test fixture to meet the needs of our customer’s testing requirements. So the next time you’re debating on undergoing the functional test for a board ask yourself, “Would I buy this car without giving it a test drive?” Knowing the answer to this question can often take the complexity out of the decision making process. Do you have any experience in projects that you decided to perform functional testing on and others that you skipped the additional testing? How did each project turn out for you? We’d love to hear about your experiences in the comments below.